With an amazing location right on the cliff's edge, Vinsanto Villas in Imerovigli features a panoramic terrace with a mini pool/jacuzzi and picture-perfect views of the volcano and the famous sunset. 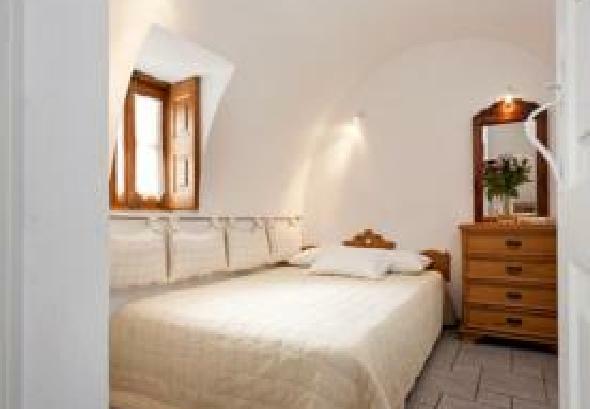 Vinsanto Villas offer studios and suites, including 4 cave suites that have been carved into the rock and decorated in typical Cycladic style. All accommodation comes with air conditioning, kitchenette facilities and free Wi-Fi. A rich a la carte breakfast is served every morning on the veranda or the traditionally decorated café of Vinsanto Villas. Snacks and light lunches are available at the hotel’s food-and-drink bar. In the evenings, you can relax with a bottle of good Santorini wine and enjoy that view. Vinsanto Villas can arrange for excursions, as well as help with wedding and honeymoon plans. It offers porter service, and parking is available near the hotel. 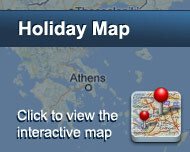 The hotel is a few minutes' walk from shops, restaurants and public transport. Είστε ιδιοκτήτης ή διευθυντής στο VINSANTO VILLAS; Εγγραφείτε τώρα για δωρεάν εργαλεία, που μπορείτε να χρησιμοποιήσετε για να βελτιώσετε την καταχώρησή σας και να συνδέσετε την ιστοσελίδα σας και το σύστημα κρατήσεών σας.